Today, state Senator Nickie J. Antonio (D-Lakewood) applauded newly-elected Governor Mike DeWine on his executive order outlining comprehensive, inclusive anti-discrimination policy for state government employees. The executive order also protects parents during and after pregnancy, parents of young children and parents with foster children. DeWine’s executive order cited attracting and maintaining the best public employees and basic human decency as a reason to include these added protections. 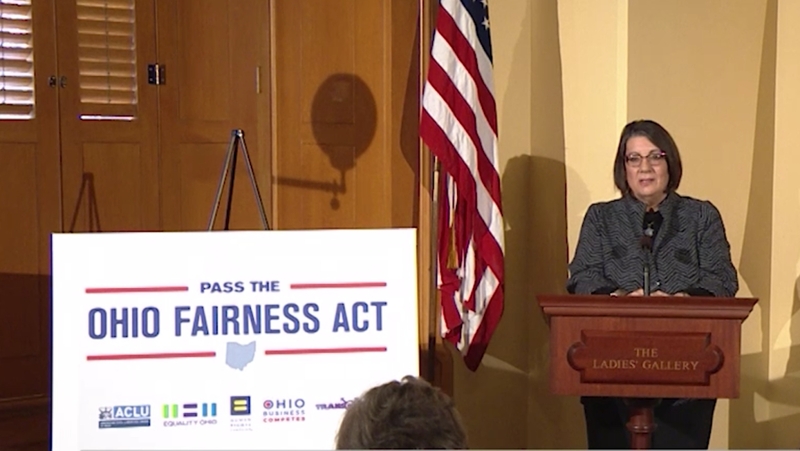 Antonio has repeatedly introduced the Ohio Fairness Act, legislation which would create protections against discrimination in housing, employment and public accommodations for Ohioans on the basis of sexual orientation and gender identity or expression. She plans to reintroduce the bill in the 133rd General Assembly.